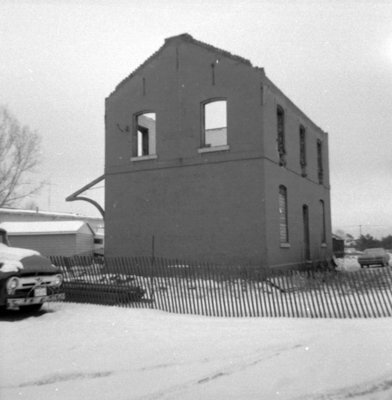 Black and white photograph of the Whitby Uptown train station being demolished. This view is of the side of the station. Uptown Station, December 1969, Brian Winter. Whitby Archives A2013_004_233.